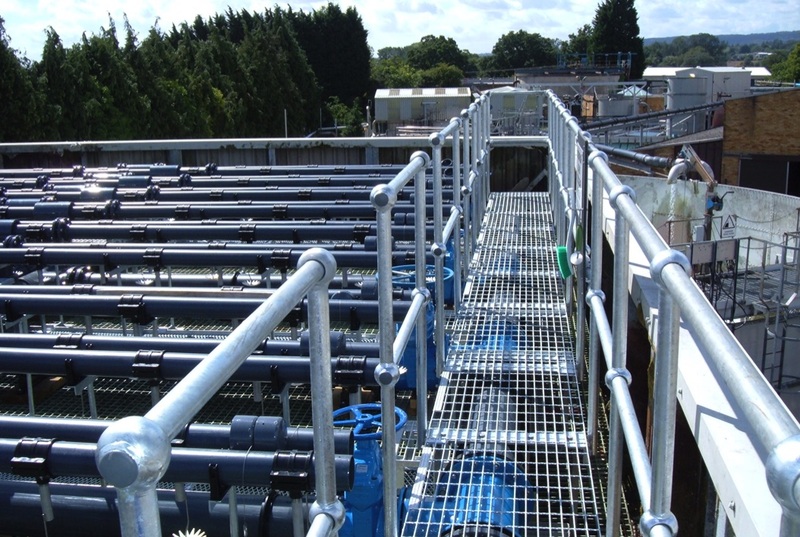 2H Water Technologies Ltd has completed a key wastewater treatment contract for the replacement of the media and influent distribution system in their Biotower Trickling Filter at the Lydney Paper Mill in Gloucestershire. The Paper Mill produces specialist paper for tea bags using the Bio-filter to provide wastewater treatment prior to discharging process water into the Severn Estuary. This project was a part of Glatfelter’s long-term commitment to sustainable manufacturing processes and environmental protection and this refurbishment will ensure continued compliance with their discharge water consent. Changes to the production equipment within the mill and the tightening of discharge consent levels led to a full re-evaluation of the operation of the Bio-filter and its ability to maintain the required treatment performance to meet the revised consent levels. The filter is 12m long x 9.6m wide and packed to a depth of 6m. 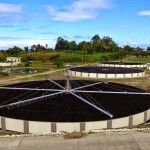 The Bio-filter is a critical part of the works production process as all process water surplus to the works requirement needs to meet a BOD water consent level of 25mg/l. 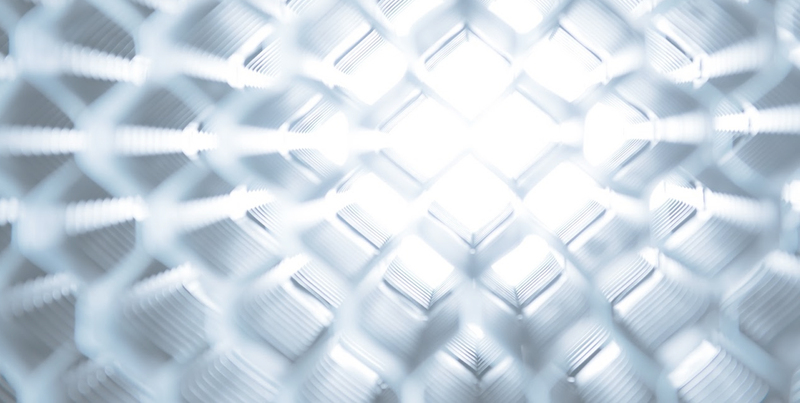 It was critical, therefore, to evaluate the potential of the existing Bio-filter to handle the mill’s future requirements and design a system that would prevent media blockages. This aside from the requirement of all refurbishments, to be able to deliver and install the equipment within the tight timescales of the refurbishment project. After extensive discussions and design reviews we removed the existing media and replaced it with BIOdek™ structured media and supplied a new distribution system with targeted flushing of the media, an important aspect of maintenance for a Trickling Filter in such an application. 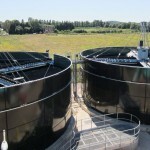 “Our BIOdek™ Plastic structured cross flow media based filters are a more efficient processing medium than traditional methods such as filters with mineral media (rock/stone beds) because the overall available surface area can be larger and is designed specifically to maximize processing efficiency” explained Richard Manning, MD, 2H Water Technologies. 2H plastic media filter technology, together with accurate wetting rate and high distribution rates enables the treatment of water in a controlled manner. This means efficient biomass utilisation and quality effluent. 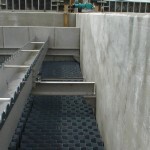 With our improvements the efficiency of the trickling filter allows the flow to be discharged to the adjacent water course to meet the discharge water consent.